BSI Standards Publication BS EN 13583:2012 Flexible sheets for waterproofing — Bitumen, plastic and rubber sheets for roof waterproofing — Determination of hail resistanceBS EN 13583:2012 BRITISH STANDARD National foreword This British Standard is the UK implementation of EN 13583:2012. It supersedes BS EN 13583:2001 which is withdrawn. The UK participation in its preparation was entrusted to Technical Committee B/546, Flexible sheets for waterproofing and water vapour control. A list of organizations represented on this committee can be obtained on request to its secretary. This publication does not purport to include all the necessary provisions of a contract. Users are responsible for its correct application. © The British Standards Institution 2012. Published by BSI Standards Limited 2012 ISBN 978 0 580 76197 3 ICS 75.140; 83.140.10; 91.100.50 Compliance with a British Standard cannot confer immunity from legal obligations. This British Standard was published under the authority of the Standards Policy and Strategy Committee on 31 July 2012. Amendments issued since publication Date Text affectedBS EN 13583:2012EUROPEAN STANDARD NORME EUROPÉENNE EUROPÄISCHE NORM EN 13583 July 2012 ICS 91.100.50 Supersedes EN 13583:2001 English Version Flexible sheets for waterproofing - Bitumen, plastic and rubber sheets for roof waterproofing - Determination of hail resistanceFeuilles souples d étanchéité - Feuilles bitumineuses, plastiques et élastomériques d étanchéité de toiture - Détermination de la résistance à l impact de la grêle Abdichtungsbahnen - Bitumen-, Kunststoff- und Elastomerbahnen für Dachabdichtungen - Bestimmung des Widerstandes gegen Hagelschlag This European Standard was approved by CEN on 7 April 2012. CEN members are bound to comply with the CEN/CENELEC Internal Regulations which stipulate the conditions for giving this European Standard the status of a national standard without any alteration. Up-to-date lists and bibliographical references concerning such national standards may be obtained on application to the CEN-CENELEC Management Centre or to any CEN member. This European Standard exists in three official versions (English, French, German). A version in any other language made by translation under the responsibility of a CEN member into its own language and notified to the CEN-CENELEC Management Centre has the same status as the official versions. CEN members are the national standards bodies of Austria, Belgium, Bulgaria, Croatia, Cyprus, Czech Republic, Denmark, Estonia, Finland, Former Yugoslav Republic of Macedonia, France, Germany, Greece, Hungary, Iceland, Ireland, Italy, Latvia, Lithuania, Luxembourg, Malta, Netherlands, Norway, Poland, Portugal, Romania, Slovakia, Slovenia, Spain, Sweden, Switzerland, Turkey and United Kingdom. EUROPEAN COMMITTEE FOR STANDARDIZATION COMITÉ EUROPÉEN DE NORMALISATION EUROPÄISCHES KOMITEE FÜR NORMUNG Management Centre: Avenue Marnix 17, B-1000 Brussels © 2012 CEN All rights of exploitation in any form and by any means reserved worldwide for CEN national Members. Ref. No. EN 13583:2012: EBS EN 13583:2012 EN 13583:2012 (E) 2 Contents Page Foreword 3    1    Scope 4    2    Normative references 4    3    Terms and definitions .4    4    Principle 5    5    Apparatus .5    6    Sampling and preparation of test specimens .6    7    Calibration 6    8    Procedure .6    9    Expression of results 8    10    Test report 9    Bibliography . 10    BS EN 13583:2012 EN 13583:2012 (E) 3 Foreword This document (EN 13583:2012) has been prepared by Technical Committee CEN/TC 254 “Flexible sheets for waterproofing”, the secretariat of which is held by NEN. This European Standard shall be given the status of a national standard, either by publication of an identical text or by endorsement, at the latest by January 2013, and conflicting national standards shall be withdrawn at the latest by January 2013. Attention is drawn to the possibility that some of the elements of this document may be the subject of patent rights. CEN [and/or CENELEC] shall not be held responsible for identifying any or all such patent rights. This document supersedes EN 13583:2001. The following is a list of significant technical changes since the last edition:  definition of EPS board as soft support;  definition of sandpaper for use on hard support;  new definition of v ddamaging velocity;  indications regarding calibration. This document has been prepared under a mandate given to CEN by the European Commission and the European Free Trade Association. According to the CEN/CENELEC Internal Regulations, the national standards organisations of the following countries are bound to implement this European Standard: Austria, Belgium, Bulgaria, Croatia, Cyprus, Czech Republic, Denmark, Estonia, Finland, Former Yugoslav Republic of Macedonia, France, Germany, Greece, Hungary, Iceland, Ireland, Italy, Latvia, Lithuania, Luxembourg, Malta, Netherlands, Norway, Poland, Portugal, Romania, Slovakia, Slovenia, Spain, Sweden, Switzerland, Turkey and the United Kingdom. BS EN 13583:2012 EN 13583:2012 (E) 4 1 Scope This European Standard specifies the determination of the resistance of flexible sheets for roofing to hail using a test for puncture by simulated hail. This European Standard may also be applied for waterproofing. 2 Normative references The following documents, in whole or in part, are normatively referenced in this document and are indispensable for its application. For dated references, only the edition cited applies. For undated references, the latest edition of the referenced document (including any amendments) applies. EN 826, Thermal insulating products for building applications — Determination of compression behaviour EN 1849-1, Flexible sheets for waterproofing — Determination of thickness and mass per unit area — Part 1: Bitumen sheets for roof waterproofing EN 1849-2, Flexible sheets for waterproofing — Determination of thickness and mass per unit area — Part 2: Plastic and rubber sheets prEN 10025-2:2011, Hot rolled products of structural steels — Part 2: Technical delivery conditions for non- alloy structural steels 1)EN 13163, Thermal insulation products for buildings — Factory made products of expanded polystyrene (EPS) — Specification EN 13416, Flexible sheets for waterproofing — Bitumen, plastic and rubber sheets for roof waterproofing — Rules for sampling EN 13956:2005, Flexible sheet for waterproofing — Plastic and rubber sheets for roof waterproofing — Definitions and characteristics ISO 6344-1:1998, Coated abrasives — Grain size analysis — Part 1: Grain size distribution test 3 Terms and definitions For the purposes of this document, the terms and definitions given in EN 13956:2005 and the following apply. NOTE EN 13956:2005 gives the definitions for “sampling”, “sample”, “test piece”, “test specimen”. 3.1 surface upper side of the sheet, as used in situ; it is usually the inside of the roll 3.2 damaging velocity v ddetermined velocity of the ball rounded to the next integer in m/s, which has caused perforation in maximum 1 out of 5 shots 1) Under preparation BS EN 13583:2012 EN 13583:2012 (E) 5 3.3 test area area of the test specimen inside the opening (200 ± 2) mm diameter of the ballast plate 4 Principle The test specimen is shot on the surface by a plastic ball of defined material and size. The support is made of steel or expanded polystyrene. The velocity of the ball before impact can be varied. The ball can be shot in vertical direction or in horizontal direction. 5 Apparatus The apparatus (see Figure 1) consists of parts indicated in 5.1 to 5.8. 5.1 Stable support; the apparatus and support shall be placed and installed in such a way that influences on the test results e.g. by spring effect will be avoided. 5.2 Pneumatic drive by which the velocity of the ball is controlled by the loading pressure which is shown by a manometer. 5.3 Photo cell/cells with time measuring device to measure the effective velocity of the ball within (± 0,5) m/s (see Figure 1) at a distance of (300 to 400) mm from the surface of the test specimen. 5.4 Plastic ball made of polyamide (PA 6.6) with a mass of (38,5 ± 0,5) g, a diameter of (40,0 ± 0,5) mm and with a smooth and defect free surface. 5.5 Mounting device for the test specimen (see Figure 2) to allow hard or soft support. 5.6 Hard support which consists of a steel plate of (500 ± 2) mm × (300 ± 2) mm × (20,0 ± 0,5) mm as ground plate steel, specification according to prEN 10025-2:2011, steel grade S235, quality JR, on which sand paper is laid with the following specification (see Figure 2 a)):  material: silicium-carbide;  grain: P120 (ISO 6344-1:1998);  carrier: C paper 135 g/m² – 145 g/m²;  application of grain: electrostatic spread;  binder: full synthetic resin bonded, water-resistant. The sandpaper shall be placed (machine direction) crosswise to the machine direction of the roofing sheet specimen. The steel plate shall have a temperature of (10 ± 2) °C. 5.7 Soft support which consists of a steel plate as described in 5.6 but without cooling on which an expanded polystyrene panel is laid with the following specifications (see Figure 2 b)):  standard expanded polystyrene according to EN 13163;  cut surfaces;  size of (500 ± 2) mm × (250 ± 2) mm;  thickness (20,0 ± 0,5) mm  compressive stress CS(10) ( ≥ 100 kPa to ≤ 110 kPa) (EN 826). BS EN 13583:2012 EN 13583:2012 (E) 6 5.8 Ballast steel plate of (500 ± 2) mm × (300 ± 2) mm × (20,0 ± 0,5) mm with a circular opening of (200 ± 2 mm) diameter in the centre (see Figure 2). 5.9 Device for the verification of a possible perforation (see Figure 3) with a testing area of at least 30 mm in diameter. 6 Sampling and preparation of test specimens 6.1 Sampling Samples shall be taken in accordance with EN 13416. 6.2 Preparation of test specimens The test specimens shall be taken from the whole width of the roll. The test specimens are conditioned at least 24 h at (23 ± 2) °C and (50 ± 10) % relative humidity before the test. 7 Calibration The test equipment for speed measurement has to be calibrated according to an appropriate method in a range from 10 m/s to 40 m/s. 8 Procedure The test specimen is placed with the surface up on the support. The ballast plate with the opening of (200 ± 2) mm is put on top of the specimen. The test specimen has to cover the opening with an excess of at least 25 mm (Figure 2). The test area of the specimen is fully in contact with a cooling device e.g. melting ice, cool pack. The temperature of the cooling device shall be (0 ± 2) °C. After (180 ± 30) s the cooling device is removed from the test area and within (5 ± 2) s the test is conducted. The polyamide ball has to hit the surface of the test specimen in the centre of the test area. BS EN 13583:2012 EN 13583:2012 (E) 7 Dimensions in millimetres Key 1 light beam 2 timing chronometry 3 test specimen 4 steel plate Figure 1 — Testing device (example) a) Hard support b) Soft support Key 1 test specimen 2 guide pin 3 ballast steel plate 4 sand paper 5 expanded polystyrene panel 6 steel plate Figure 2 — Support with test specimen BS EN 13583:2012 EN 13583:2012 (E) 8 Dimensions in millimetres Key 1 glass plate 2 support 3 air permeable layer 4 test specimen 5 transparent plastic tube 6 gasket Figure 3 — Vacuum device (example) Preliminary tests can be made to indicate the damaging velocity v d . For every test a new test specimen shall be used and the support shall not be exposed to impact at the same point more than once. The main test with one velocity on five different test specimens shall not result in more than one perforation. If more than one perforation occurs, the velocity shall be reduced until further impact on five different test specimens does not result in more than one perforation. The testing is continued until the damaging velocity v dis determined for hard and/or soft support. If by visual examination, no perforation is found the test specimen is examined for a possible puncture by coating the surface of the impact area with a soap solution within 3600 s after the test. A pressure difference of about 15 kPa (0,15 bar) is applied to the zone of impact by means of a vacuum or pressure device with the lower pressure at the surface of the sheet. If after 60 s no air bubbles are visible, the test specimen is considered not perforated. 9 Expression of results 9.1 Evaluation The hail resistance is expressed as the damaging velocity v dof the ball rounded to the nearest 1 m/s which has caused perforation of maximum one out of five shots on hard and/or soft support. 9.2 Precision of the test method Oriented tests have shown that the precision of the test procedure will reach approximately 10 %. BS EN 13583:2012 EN 13583:2012 (E) 9 10 Test report The test report shall include at least the following information: a) all details necessary to identify the product tested, effective thickness or mass per unit area measured on the samples in accordance to the principle of EN 1849-1 or EN 1849-2; b) a reference to the current version of this European Standard (i.e. EN 13583) and any deviation from it; c) information about sampling with details of preparation of the test specimens in accordance with Clause 6; d) type of sandpaper; e) effective compressive stress CS(10) of EPS panel; f) information about the test procedure in accordance with Clause 8; g) the test results in accordance with Clause 9; h) the date of the test. BS EN 13583:2012 EN 13583:2012 (E) 10 Bibliography  SN 564 280-1996, Kunststoff-Dichtungsbahnen - Anforderungswerte und Materialprüfung 2)2) SIA, Schweizerischer Ingenieur- und Architekten- Verein, Zürich, Switzerland This page deliberately left blankBSI is the national body responsible for preparing British Standards and other standards-related publications, information and services. BSI is incorporated by Royal Charter. 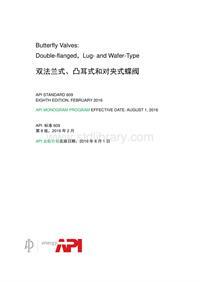 British Standards and other standardization products are published by BSI Standards Limited. British Standards Institution (BSI) BSI Group Headquarters 389 Chiswick High Road London W4 4AL UK About us We bring together business, industry, government, consumers, innovators and others to shape their combined experience and expertise into standards -based solutions. The knowledge embodied in our standards has been carefully assembled in a dependable format and refined through our open consultation process. Organizations of all sizes and across all sectors choose standards to help them achieve their goals. Information on standards We can provide you with the knowledge that your organization needs to succeed. Find out more about British Standards by visiting our website at bsigroup.com/standards or contacting our Customer Services team or Knowledge Centre. Buying standards You can buy and download PDF versions of BSI publications, including British and adopted European and international standards, through our website at bsigroup.com/shop, where hard copies can also be purchased.